It’s easy to create forms for iPhone with GoFormz. Simply upload your existing paper form (.jpg or pdf) to GoFormz, and then make it interactive with sketches, maps, photos and other fields. 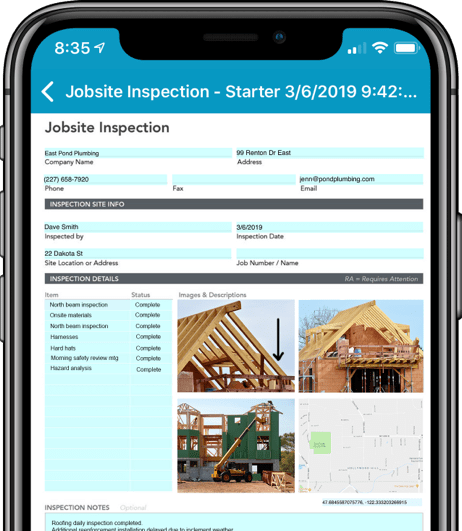 You can even create forms for iPhones that automatically email copies, instantly save to Cloud storage solutions (like Box), and rapidly calculate totals. Download the GoFormz app from the App Store. Then, login to GoFormz from your computer to create forms for iPhone and other devices. You can then fill out your forms on your iPhone (or other devices) using the GoFormz app, as many times as you wish –– anywhere, anytime. 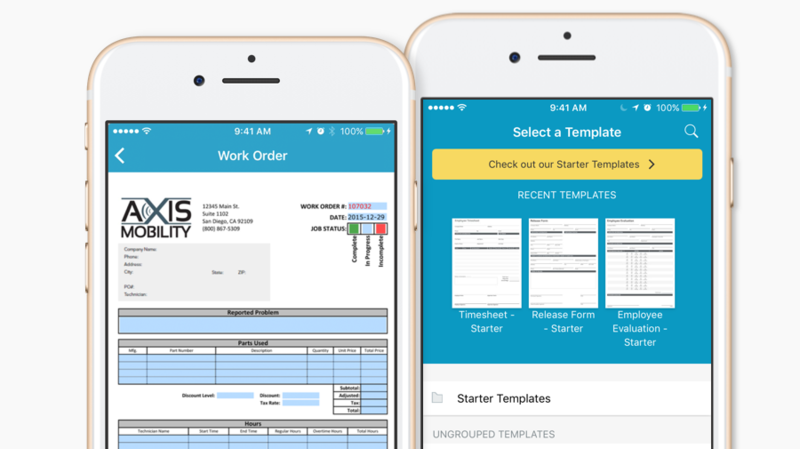 Visit our blog to learn more step-by-step details on how to create forms for iPhone using an existing pdf. Watch this short video on using the GoFormz app to fill out forms on iPhones. Available for iOS 9.3.5 (and later).